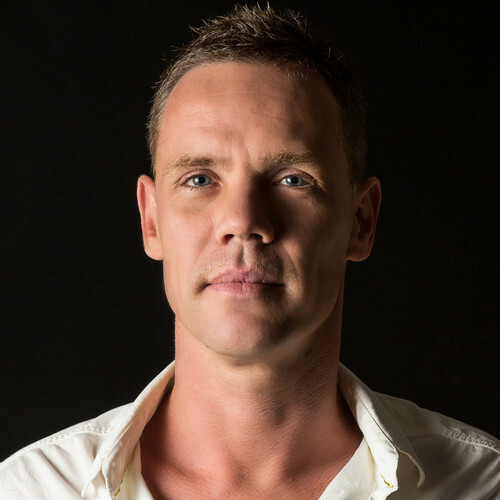 2018 looks absolutely stunning for trance superstar – Ram! At the moment, it looks like he currently is on the pinnacle of success with his label Grotesque and also in term of his own releases! Just before he prepares to fly down to Phuket to teach them how to party right, we catch up with him for a good talk about his upcoming tracks, him crowd surfing in South Africa and what he loves the most about the Asian fans! Hi Ram! It’s absolutely wonderful to be speaking to you again! 2018 has kickstarted for you on a wonderful note. With just 4 months in, you’ve released multiple tracks, a compilation, announced Grotesque stages at multiple events and are even playing sold out shows! Do you think 2018 is going to be one of the best trance years for you? Nice to meet up with you guys again. Well it’s definitely going the right way yes ☺ guess all the hardwork from the last few years are starting to pay off. And still so many good tracks are on the way but it’s been a great start indeed. We have seen Grotesque grow rapidly over the years. In fact, the earlier celebration in December which rang in the completion of 300 episodes was spectacular. You are also bringing Grotesque to various festivals! How has the journey been till date? Well I always had this one vision and that’s all coming together now. Building something up from scratch is always hard work and needs a lot of dedication. This year will be the biggest year for Grotesque and its taking shape how I hoped it would, I’m very grateful for that. Also thankful because we have a great team. And If all goes well we will be reaching all 5 continents with Grotesque shows. The labels are doing really well and we are probably going to launch a new one soon. Not to mention the 2 CD compilations (G300 and Reworked & Remixed) are also doing very well. What criteria’s do you look at when you pick artists to play at your stage? And what in a festival attracts you to bring Grotesque to it? Well artists should have at least released on Grotesque unless we’re talking about a big headliner. There are so many festivals that there is no guideline for which one we pick or not, it just needs to be a well organized festival with future potential. We just want to spread our sound and feeling to the trance community. Counting down the days to UnKonscious. How did you choose to name your label Grotesque? And what does the future hold for it? I actually don’t even know anymore we just wanted something special! For the future we just want to go global and bring Grotesque to the next level. Will keep doing what we do only do it better and bigger ☺ but that’s a process in itself which takes time. Tell us about your new track, Rambulance! What can fans expect from this tune? Yes it’s one of my last in the RAM series tracks, a mix of uplifting and tech trance. I just wanted to do a few different tracks then my signature emotional tracks. So this is big energy bomb! Peak time trancer ☺ My next tracks will be very beautiful & emotional again. You will be playing at UnKonscious in a few days! What are your expectations from the festival and why do you think fans should come and be a part of it? What do you love the most about the Asian fans? What according to you makes them unique? I love their enthusiasm and kindness, I am a big fan of Asia and always feel at home there. Especially Thailand, it’s been my favourite country for 15 years already. We saw you crowd surf recently as you dropped your track “Africa”. Can we expect something crazier at UnKonscious? That moment when "Africa" makes you go crazy! Any final message you would like to give your fans out there? And buy my next track hahaha out next week ☺! Ram brings his Grotesque stage to UnKonscious festival on the 5th of May! Grab your tickets here! Use code UNKTRANCEHUB to avail a 10% discount on your tickets for UNKONSCIOUS!